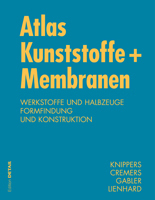 “Atlas Kunststoffe + Membranen” has been published by DETAIL. There are soft- and hardcover editions available. Further information can be found at the webpage of the publisher.